It’s hard to believe that the year is almost half over. 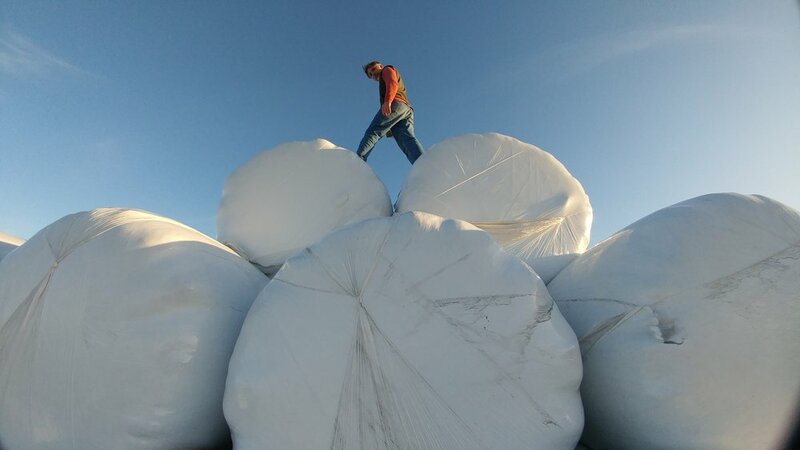 Our workshop season, however, is just kicking into high gear. Matt and Gabe are leading a group in Capitol Reef National Park, and Chris and I are about to do the same in Redwood National and State Parks. But this week’s post is about celebrating the amazing experiences we had with the attendees of our first six workshops and tours of 2018. We started the year by visiting one of the lesser-known national parks, Biscayne in Florida, and in the spring we offered our very first night portraiture workshop, in Catskill, New York. For 2018 we added a second international tour, and notched both Iceland and Scotland in our passports before the end of spring. 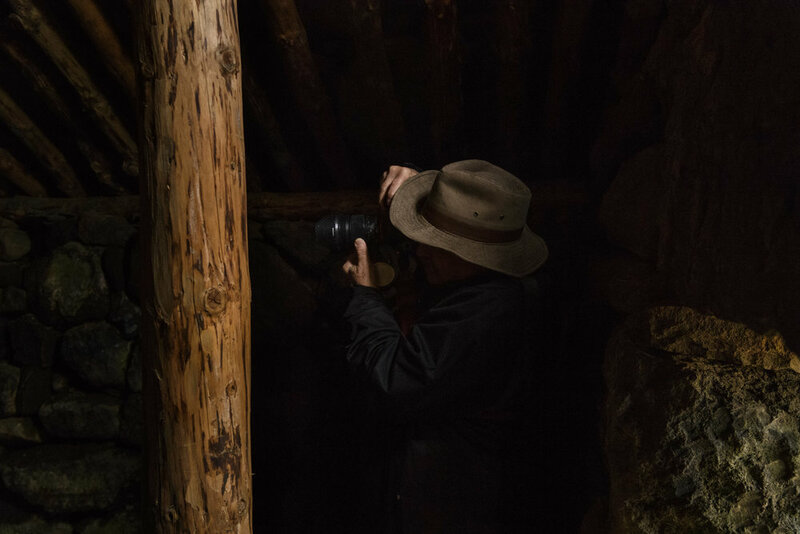 We also partnered with two of our favorite institutions—Rocky Mountain School of Photography and Atlas Obscura—to create two opportunities to seize the night in California. 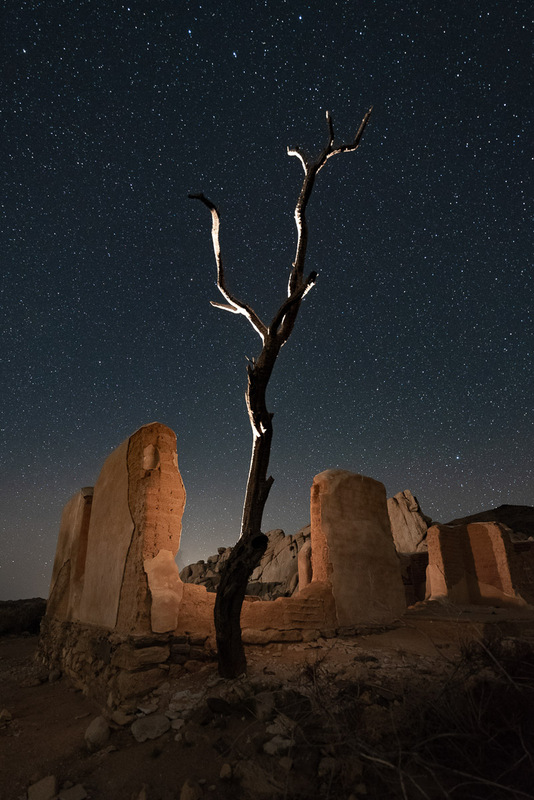 It may sound like we’re tooting our own horn, but what all of this really means is that (as Matt proclaimed in a lecture earlier this year) this is the golden age of night photography. 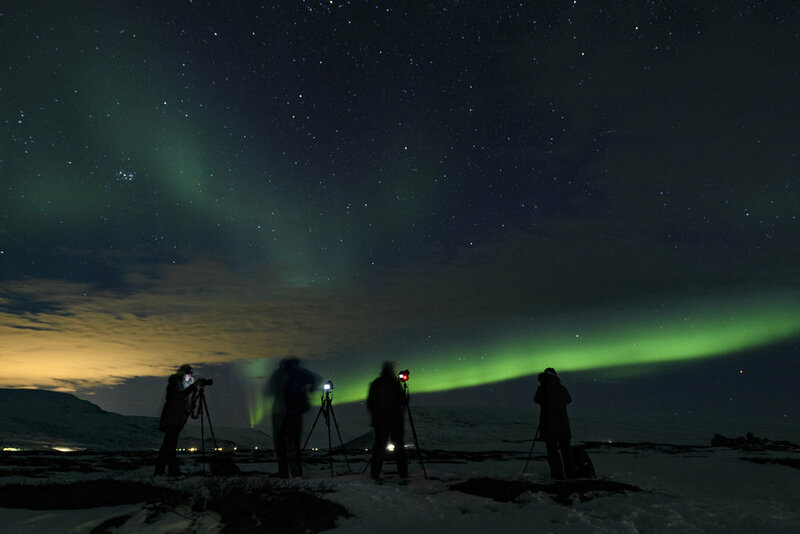 It is not because we are teaching a lot of workshops, but because so many of you are out there photographing at night and continuing to produce so many amazing images. 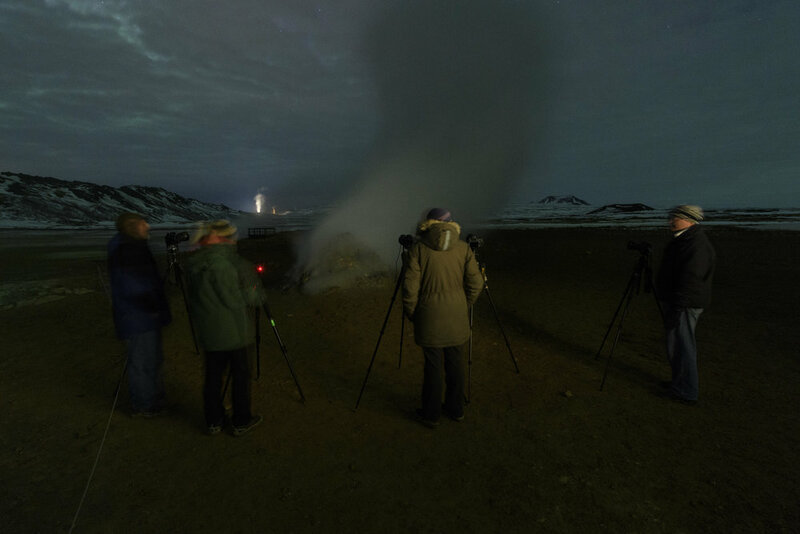 They said it couldn’t be done—a night photography workshop was impossible at a location that’s 90 percent water. Well, here at National Parks at Night, we love a good challenge and we made the most of the 10 percent of land in Biscayne National Park! The first night of the workshop was the day before the second blue supermoon of 2018, and we came prepared. Our friends at Nikon shipped us an 800mm lens with a 1.25X teleconverter, which we matched to the D500 with its 1.5X-crop APS-C sensor. With that, we practically lassoed the moon. That “kit” was set up on a Gitzo tripod and students could stick their memory card in the camera and track and capture the moon. The rest of the first night was spent getting our night feet wet with the many subjects to photograph around the Dante Fascall Visitor Center, the only mainland section of the park. The next two nights we were transported by charter boat to Elliot and Boca Chita keys. Elliott provided a supermoon moonrise, mangroves, dock and other subjects. But Boca Chita is definitely the crown jewel of the location. 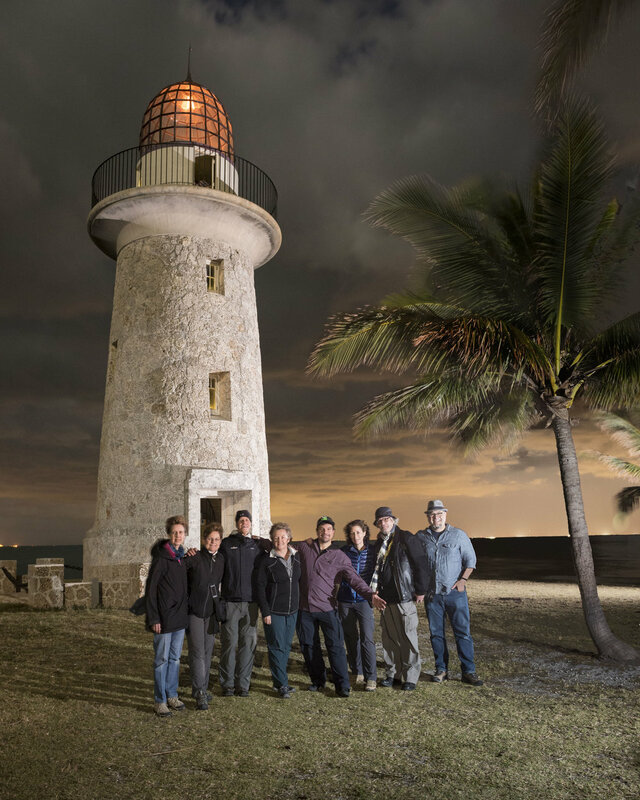 We literally “lit up” the ornamental Honeywell lighthouse, photographed the Miami skyline, light painted the cutest little chapel, and explored the many views along this picturesque curved key. We also got to spend an evening at Bill Baggs Cape Florida State Park, which offered spectacular views of off-shore Stilstsville at sunset, which is in the northernmost part of Biscayne National Park. Baggs is also home of the oldest standing structure in greater Miami—the Cape Florida Light, which we were able to wrap lots of star trails around as well as climb up and sing an opera song or two! Our last night was even more special, as we were able to gain access to Stiltsville, a grouping of wooden stilt houses that are 1 mile from Miami. The structures are still recovering/rebuilding from Hurricane Irma, but we were able to watch a spectacular moonrise over Leshaw House as well as shoot a few other unique “floating" houses from the dreamlike location of the Baldwin-Sessions house. Tim and I have taught many workshops, but this was definitely one to remember—from being transported to and from the islands by boat at night, to just the amazing camaraderie that we had with all the students and people who helped make this adventure happen. We want to give a big thank you to Biscayne National Park, Biscayne National Park Institute, Stiltsville Trust and Bill Baggs Cape Florida State Park for helping us put together this amazing experience. 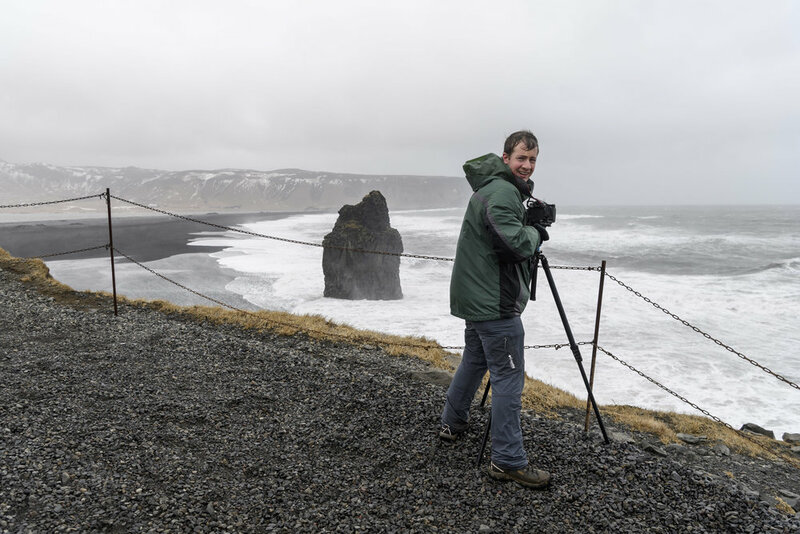 Our first international tour of 2018 was remarkable for two things: some really bad weather, and a truly extraordinary group of travelers. 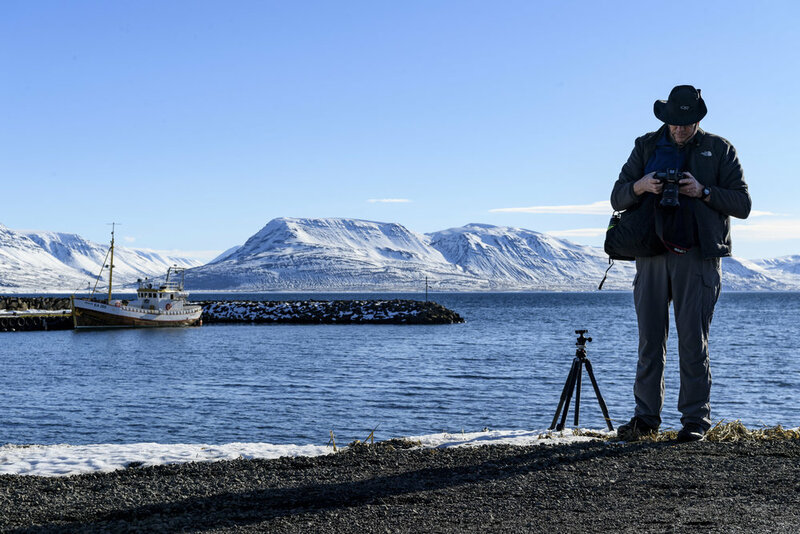 After an outstanding exploration of the remote Westfjords of Iceland in the late summer of 2017, we scheduled our second Iceland adventure to the more frequently visited south coast. 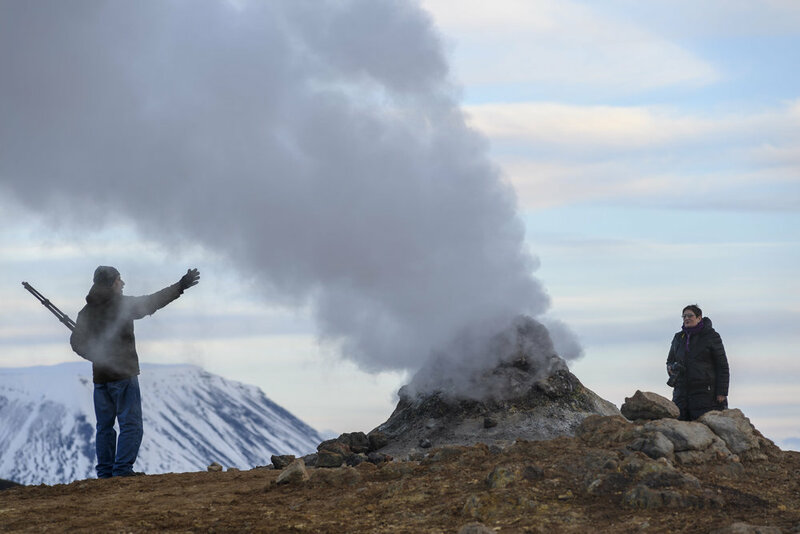 This is where most visitors to Iceland end up, and for good reason. Some of the most spectacular waterfalls, along with the famous glacial lagoons and the ice beach can be found there. 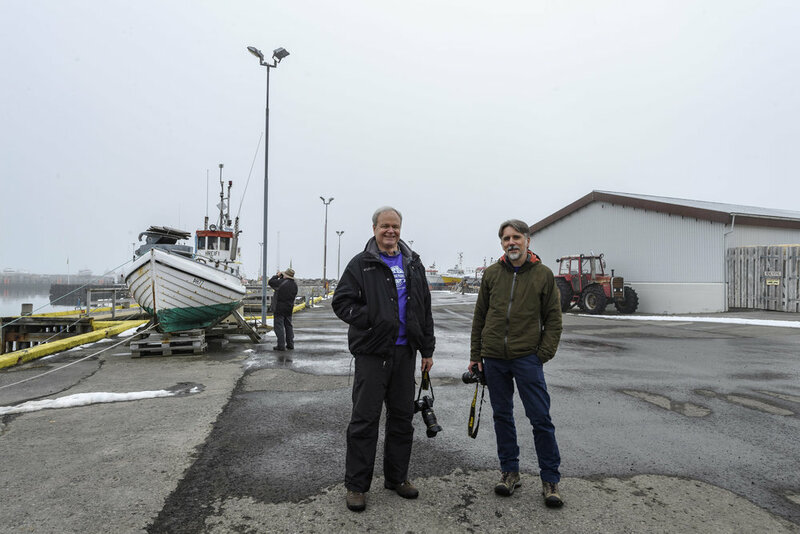 We arrived and spent our first day and night in Reykjavik, and had an amazing meal at the Fish Market with many courses of truly delicious and innovatively prepared seafood dishes. 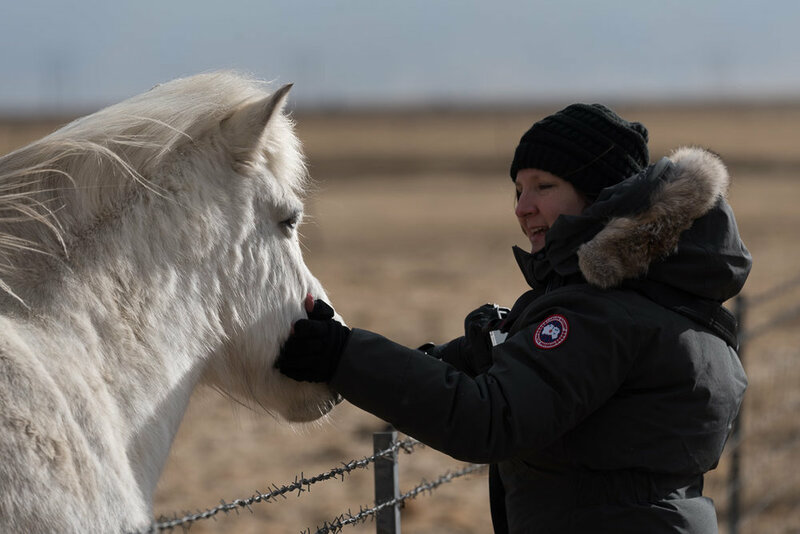 The next day we headed south under sunny skies and spent some time with a friendly herd of Icelandic horses before making our way to Vik. Alas, then the weather took a turn for the worse, with rain and ferocious winds. Our intrepid group made the best of it and we photographed when and where we could, and we even had an impromptu light painting lesson in the hotel meeting room when it was too wet to go out and photograph. The nasty weather continued the next day, and the forecast was only getting worse––100 percent chance of nothing but cold, wind and rain for the entire remainder of our trip. 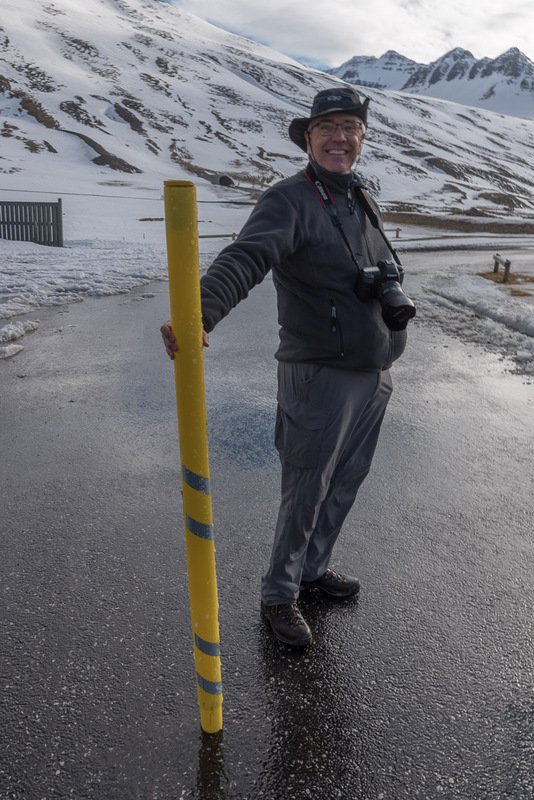 Iceland can be like that sometimes, and you do what you can to make the best of it. I’d never seen it quite that bad before, but we had a hardy group of outside-the-box thinkers who found a solution and presented it to Chris and I. 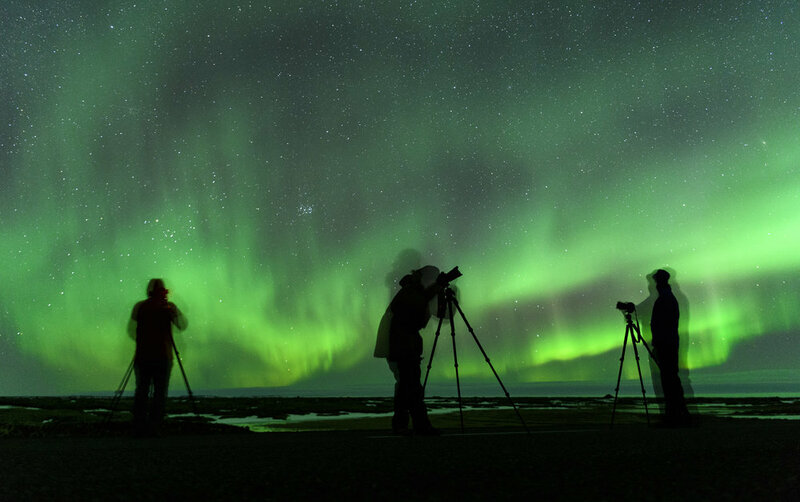 The next thing we knew, we had changed our entire itinerary and were headed to the north coast, where the forecast was not only for clear skies, but also for lots of aurora borealis. Yup, we did it! The entire group agreed, and we changed our plans and our fortunes, and we found some great new locations and made a lot of great photographs. I won’t ever forget how this group collectively transformed a gloomy experience into a very memorable trip. 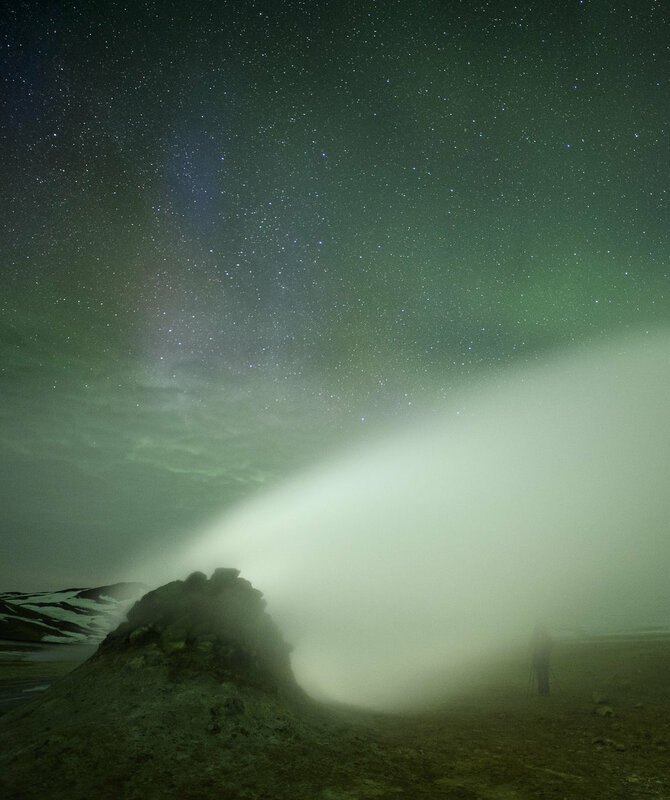 Don’t be surprised if you see a National Parks at Night trip to North Iceland show up on our website in the next few years. Maybe the weather on that one will lead us back to the south, and we can finish what we started. Our friends at the Rocky Mountain School of Photography invited us to lead another workshop for them in 2018, and Gabe and I did that at Joshua Tree National Park in mid-April. 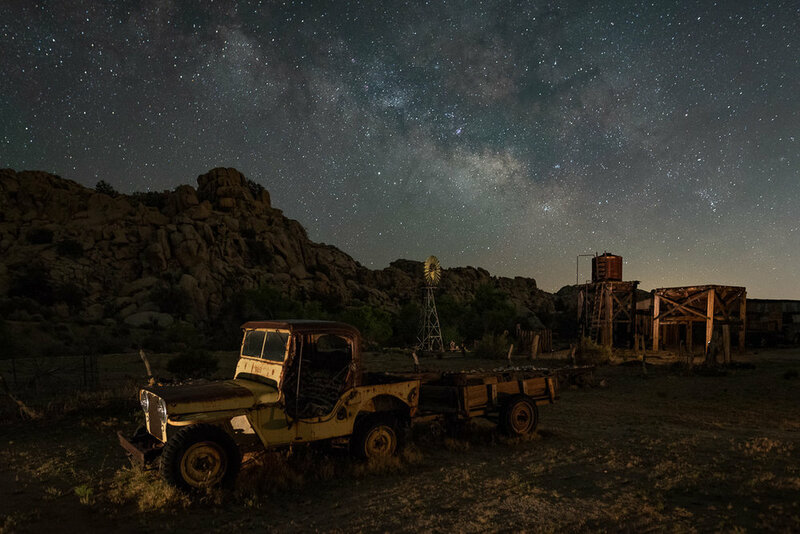 This was our first chance at the Milky Way for the year, and we planned the workshop to begin at the new moon and progress to nearly the first quarter. 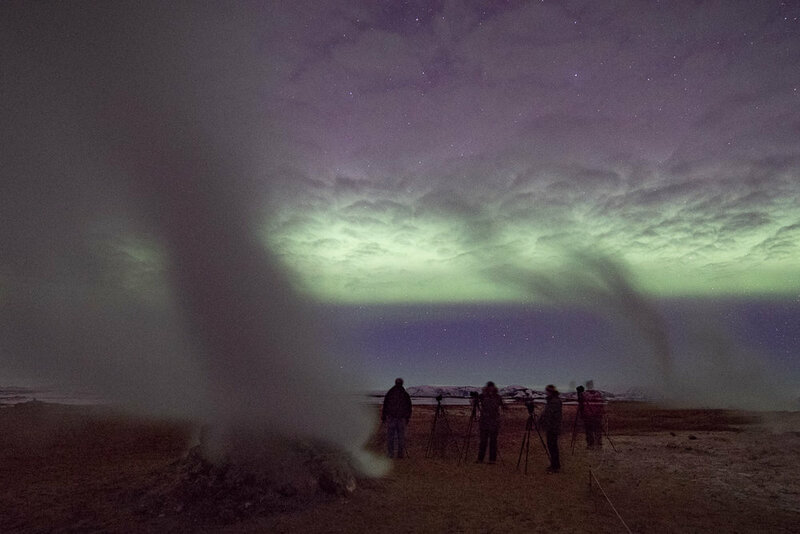 Conditions were perfect––cool nights, clear skies and a largely novice group of night photography converts. We had a few welcome NPAN alumni from Zion, Great Sand Dunes and Cape Cod to help lead the newbies on our dessert adventure. Arch Rock, Hidden Valley and of course Key’s Ranch were highlight locations again this year, and we were happy to be working with the Desert Institute again as our park liaison. After our RMSP workshop, we led a second, one-night outing for the Desert Institute. In addition to some truly stellar images, one of the memorable aspects of this workshop is that our group was not hesitant to stay out late and wait for the Milky Way to rise over the horizon—which, depending on the location, was not until 1 a.m. or later. Way to go, gang! Students, model, Matt and Mabel in our headquarters backyard shortly after a massive thunderstorm. In April, I hosted our very first night portraiture workshop. It was also the inaugural workshop in the newly renovated teaching space at our headquarters in the village of Catskill, New York. This workshop was very intimate, catered farm-to-table by a local chef and designed for advanced students who want to make long exposure portraits of people at night. From Friday afternoon until Sunday afternoon, we worked on lighting, posing and storytelling. Our wonderful local model, Galaexius Quasar, worked with us in studio and on location in the area to bring to life fantastic ideas. We had challenging weather, but on the first night, that was a real boon. The clouds and misty rain added a moodiness that complemented the scene. Nikon D750 with a Nikon 105mm f/1.4 lens. 15 seconds, f/4, ISO 200. The second night brought a very energetic thunderstorm. We decided to stay dry and warm and proceeded to build long exposure portraits in the studio until the weather cleared. After that, we went in the backyard, popped a couple of smoke grenades and made some more magic. By spending time working on individual skills, both students really leveled up. I’m so happy we did it, and I’m looking forward to the six-person workshop in the fall that I am co-teaching with Tim Cooper. 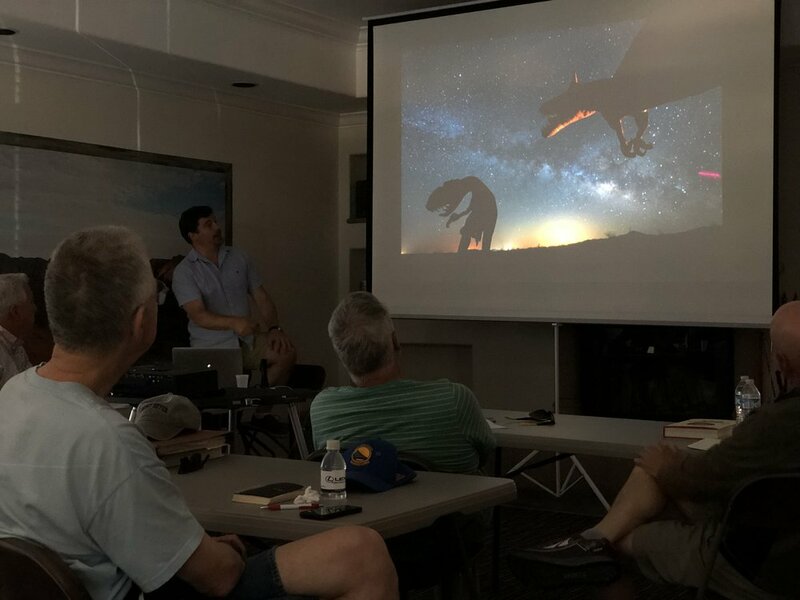 Dark Skies and Desert Beasts was the official title of our first Ambassador Series workshop with Atlas Obscura. 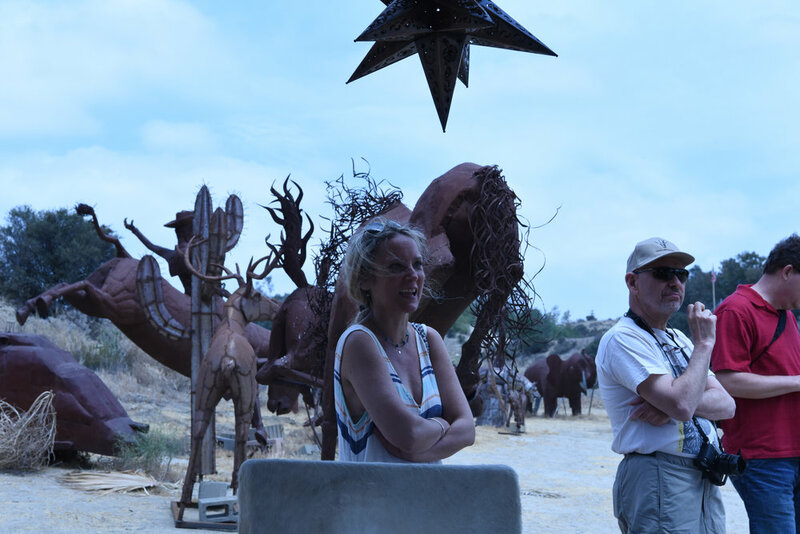 It was held in the dark sky community of Borrego Springs, California, and our focus was the 130-plus surreal sculptures of Ricardo Breceda that created an amazing “Night Sky Museum” with the Milky Way as our backdrop. For those who are unfamiliar with Atlas Obscura, they have been the go-to online guide to the strange and unusual all over the world for the last 10 years. It was an honor to work with their team, to introduce them to the beauty of the night and to create a unique experience. 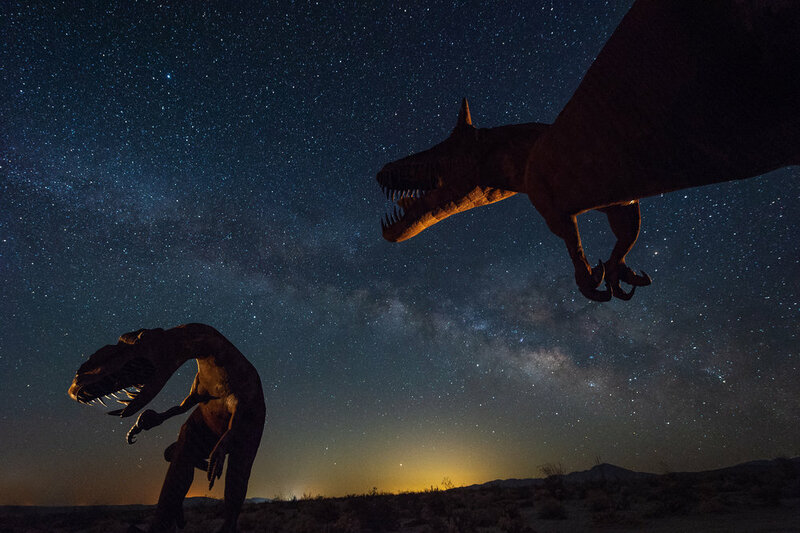 Borrego Springs is part of the Sonoran Desert and has been an oasis in the valley for many years—though now more people seek its dark skies than ever before. We enhanced the California vibes even more by staying at an Old West and vintage trailer themed resort! We spent our afternoons in class, reviewing students’ work and going over the many techniques of night photography. We explored a different section of the Galleta Meadows each night. 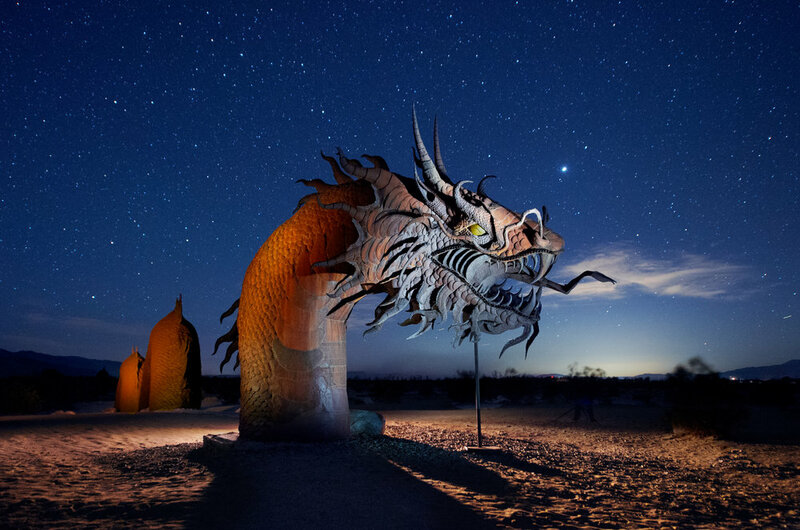 The variety of sculptures—from the iconic “dragon” serpent that cuts through the main road to the spectacular standoff between the grasshopper and scorpion—were just amazing to aim our lenses toward. But there were so many other beasts to play with too, from dinosaurs and wild horses, to sabertooth tigers, camels, sloths and jeeps driving into the stars! We scouted each area during the day, and we dropped Google pins and took test shots for sculptures that inspired us so that we could be more productive once the sun set. 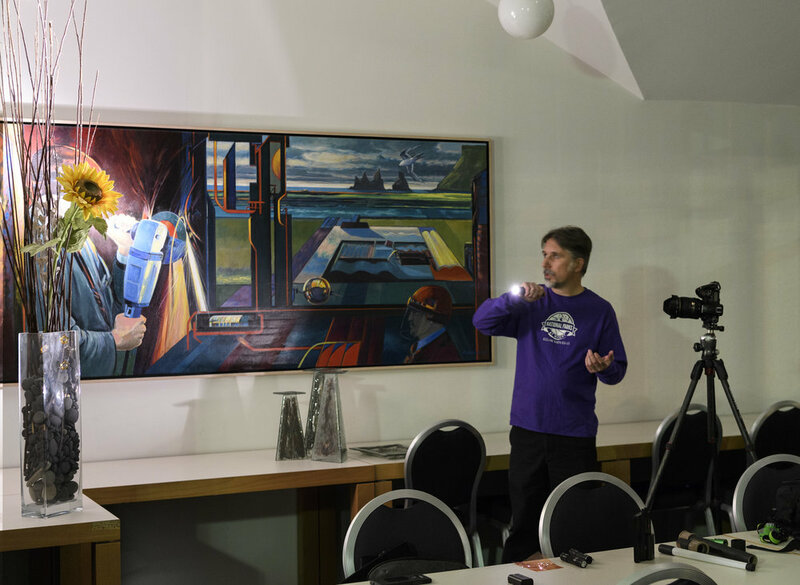 Our group of students were amazing and worked so well together, each taking a crack at light painting to reinterpret these pieces of art into something they could call their own. It was definitely a challenging workshop, operating under little to no moon and maintaining focus on some fairly close subject matter while keeping those background stars sharp! However, both Tim and I were incredibly impressed with the work that was created and the camaraderie that was forged with all! 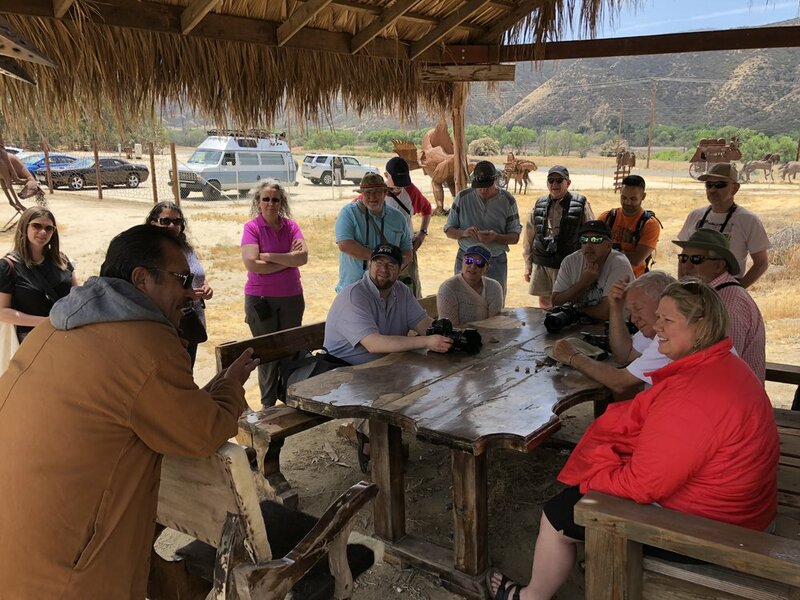 We had so much fun that we are already planning on a return to Borrego and more collaborations with Atlas. Stay tuned! 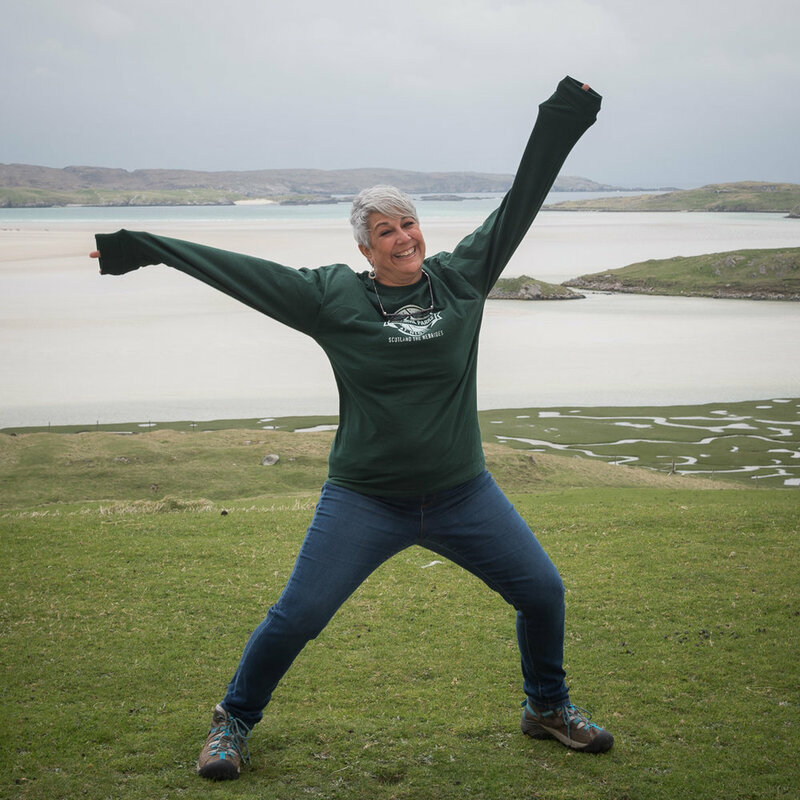 Our second international trip of 2018 was to the Isle of Skye, and the Hebridean Isles of Lewis and Harris. Skye has some of the best landscapes in Europe, and Lewis and Harris are rich in Neolithic archeology. I had been there the year before in March, and things were pretty quiet as you might expect at that time of year. 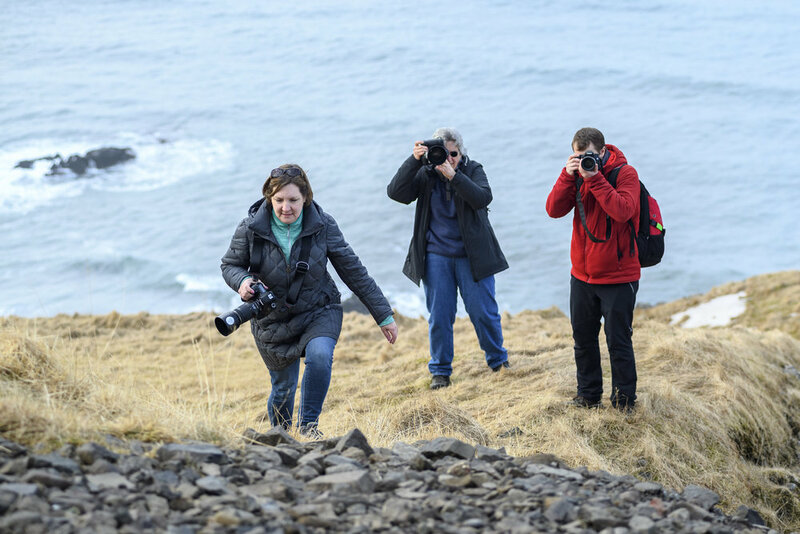 It was immediately apparent that like Iceland, Scotland has seen a major increase in tourism in the last couple of years, and no place in Scotland more than Skye. 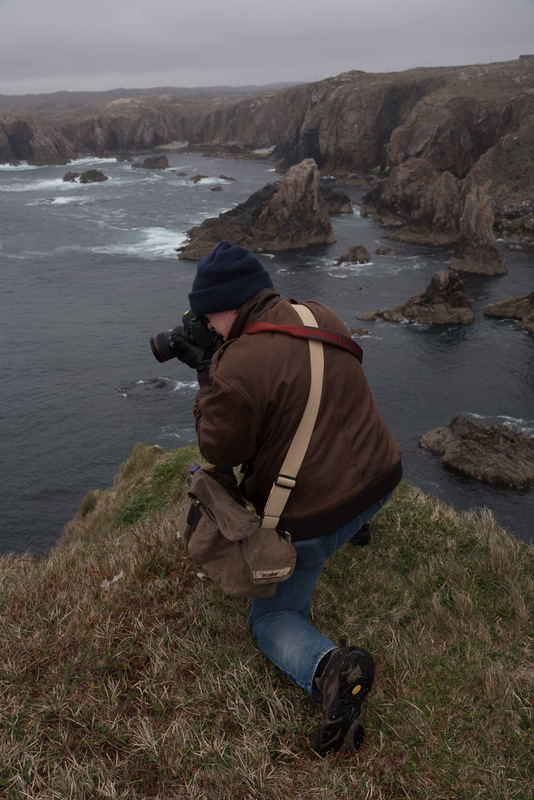 It was interesting to note that unlike in Iceland, where it seems that much if not most of the tourism centers around photography, that wasn’t the case in Scotland. Some of the locations I’d been visiting for years, often having them to myself, were now absolutely swarming with tourists (and the busy season was only just beginning). 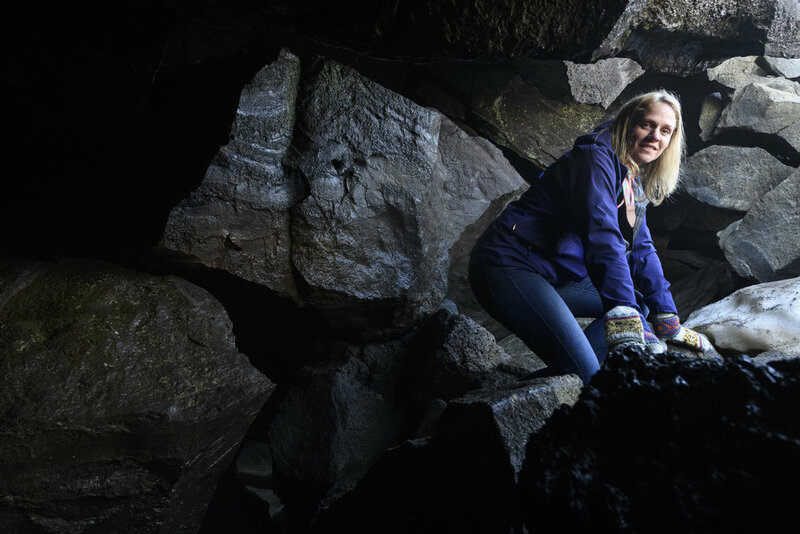 Fortunately, there are still plenty of places to appreciate the spectacular landscapes and appreciate the culture and history of Scotland if you’re willing to come back after dark! That’s what we did! We had five full days and nights at the wonderful Uig Lodge on the Isle of Lewis. We had some good weather, some mediocre weather, a smashed iPhone (mine) and a real beater of a minibus (thanks, Sixt, but we’ll look elsewhere next time). Again NPAN travelers showed their mettle and faced every challenge head-on to come home with new friends, good memories and great images. Chris and I took a couple of days before the tour to explore an area in the southwest of Scotland, and he even found the exact apartment in Campbeltown where he had lived for six months as a child while his dad was stationed at the U.S. naval station nearby. National Parks at Night will be leading more tours to some of the other Scottish islands in the future, so stay tuned! When we form brand partnerships, we look for the relationship to benefit our workshop attendees too. Nikon, Coast Portland, B&H Photo, Peak Design, Light Painting Brushes, X-Rite, BenQ, Bay Photo, Irix Lenses, Valleret, PhotoPills and Luxli all offered loaner gear, discounts, gifts and other perks at various locations. As always, our gratitude is unending. As you can see, it’s been a pretty exciting year so far, with more to come. 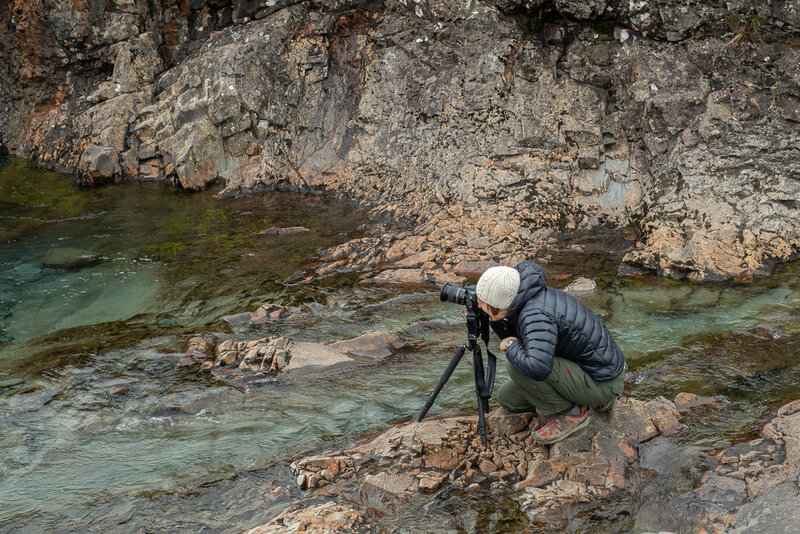 As of June 22, all of our remaining 2018 workshops are full with the exception of our second week at Glacier National Park led by Tim and myself. You can still sign up for the waitlist for any workshop at no cost and with no risk. If a spot opens up, we’ll invite you to apply. We’ll be announcing our 2019 workshops and tours in August, first to our esteemed alumni, then to our email subscribers, and then to the general public. We hope to see you out there under the Milky Way!